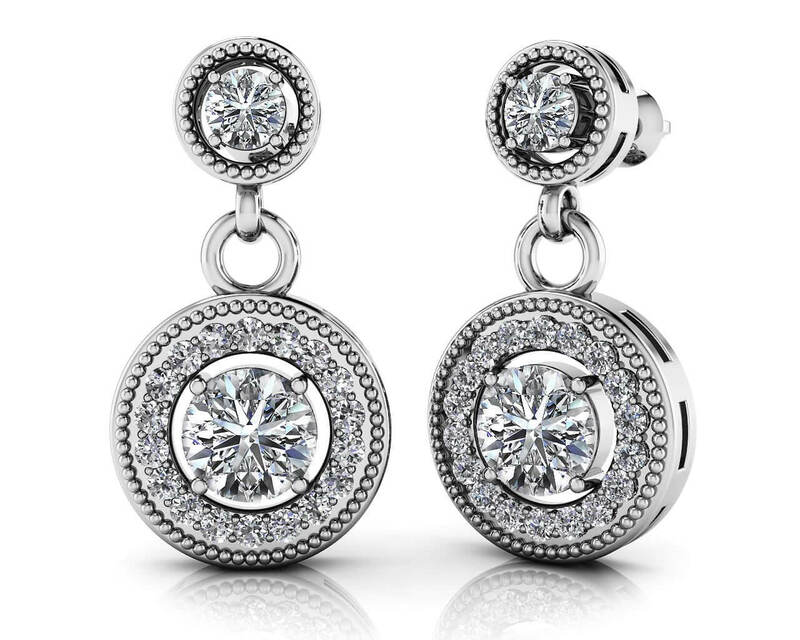 A pair of gorgeous drop earrings is the perfect modern accessory. 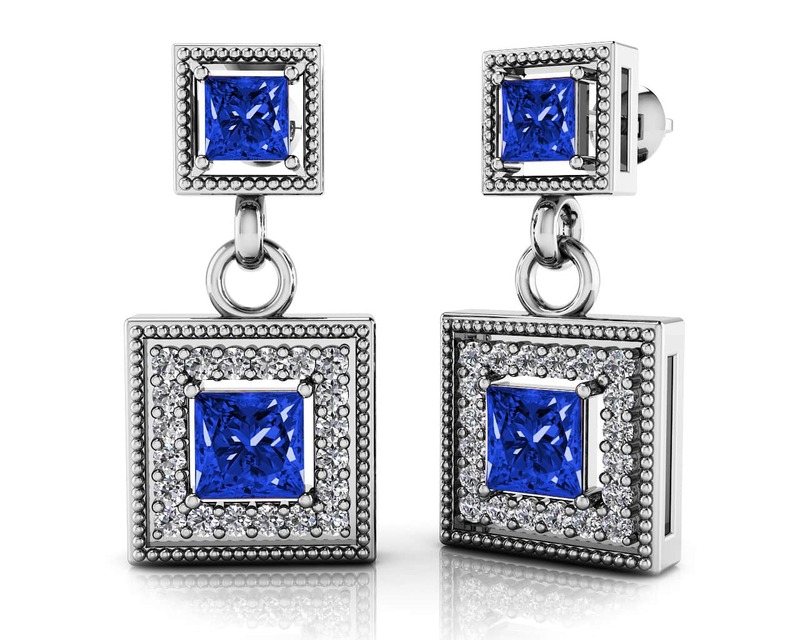 These earrings feature small squares with a fabulous, prong-set round gemstone of your choice. 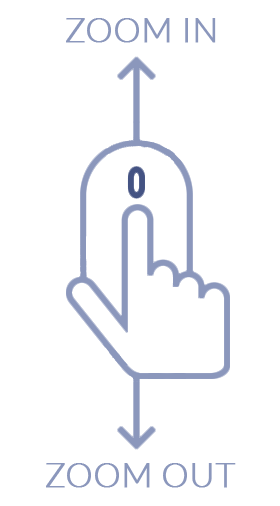 A double link and another square holding a larger gemstone, with small diamonds surrounding it, dangles perfectly. 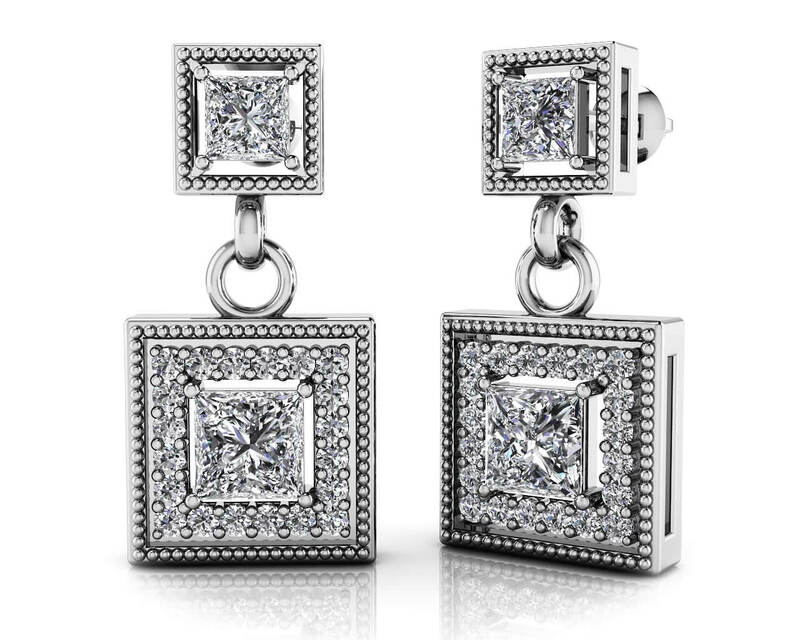 These feature 1.5 carats of total weight, and the design on these will truly sparkle from every angle. These gemstone earrings have a vintage appeal with special filigree edge details and should appeal to anyone looking for a unique accessory! Stone Carat Weight: 40X.010 ct., 2X0.170 ct., 2X0.400 ct.